I quite remember the uneasy sensation that I had when a former coworker told me a story — a story about a senior engineer who went to jail because of a bug, a fatal one, as it turned out. The bug lurked in an electronic control unit (ECU) which was, among other things, controlling the manual deactivation of the front passenger seat’s airbag. Under normal circumstances, you wouldn’t want to disable an airbag, a feature that saves lives every day around the world. 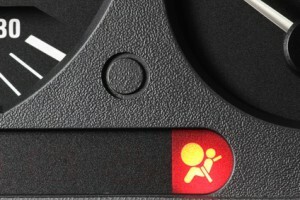 However, if you intend to put a rearward-facing baby seat in the front, you have to do it, or you risk severe injury of your child in case the airbag deploys during an accident. Now, this unfortunate engineer discovered that under extremely rare conditions there was a tiny window of opportunity for the airbag deactivation mechanism to fail silently; that is, it would appear to be deactivated when in fact it wasn’t. I don’t remember the necessary prerequisites, but what I do remember is that the combination of inputs and actions sounded so silly, so unusual, so improbable that he — like probably most of us would have — expected that the fault would never ever show up in practice. But what a terrible mistake this was, as this is exactly what happened and a child lost its life. How unlikely or likely is the higly improbable? The chances of winning a 6-number lottery game are typically 1 against many tens of millions; yet, the likelihood that some player (not a particular player, of course) wins is quite high. Why? Because there are millions of players who take part in such lotteries. The same is true for ECUs which frequently find their way into millions of cars. The developer was punished not for creating the bug but for not telling his managers about his discovery, for keeping it secret. But why didn’t he report the problem to his superiors? I can only guess. Maybe there was a lot of schedule pressure, perhaps he didn’t want to upset his boss. Or, the product was already released and a recall would have cost a lot of money, let alone reputation. If you ask me, it was a deadly cocktail of fear and pride. When I did my military training at the German Armed Forces, one of the first rules I learned was “Melden macht frei”, which more or less translates to “reporting is liberating”. It is your duty to report an incident and it has a liberating effect on you, both emotionally and legally. After reporting, it is your superior’s problem. He has to decide what to do next. That’s not dodging responsibility — it’s passing on an issue that is outside your area of responsibility to the right person. In the same spirit, as professionals we also have to report any issue that is harmful to customers or the company, regardless of how unlikely it appears to us. Even if management makes a (hopefully prudent) decision to ignore the problem (like it was the case in the Space Shuttle Challenger disaster, where engineers clearly raised their concerns that the O-rings on the rocket boosters would not seal at low temperatures), at least you have behaved professionally and are saved from prosecution and guilt feeling. There is, however, a strange phenomenon: People sometimes forget that you informed them, especially when they have to testify in court. That’s why I want to share another important German wisdom with you: “Wer schreibt, der bleibt”, which can be translated as “you write, you stay”. It means that (only) if you write something down, you will be remembered. In other words: always keep a paper trail; email usually suffices.